There are three separate stories that make up this special, and the writers behind them are Dan McCoy, Elliot Kalan, and Stuart Wellington. 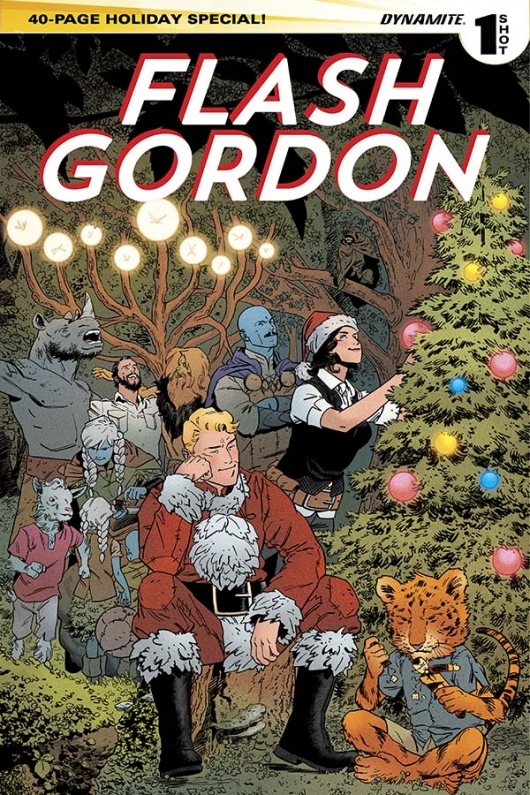 Each turn is a charming tale focusing on a different member(s) of the Flash Gordon cast, and while I loved the first two stories it the book, the third story came up a little bit short for me. Overall, it’s a nice, charming, heartwarming book that you can read while you’re on a plane, train, or automobile heading home for the holidays and it’ll get you that much more excited for seeing family and/or friends and relaxing for a couple of days. Just like the writers, there are three different artists for this book: Lara Margarida, Stephen Downey, and Joseph Cooper. All three of them with VERY different styles, but all of them equally talented. Cooper really brings his story to life, and that might be because it’s the cheeriest of the three stories, and the art definitely matches the tone. Downey and Margarida both bring their A game to their stories, and even though Downey’s selection is a tad on the bittersweet side, they all deliver pages that will warm your heart and make you feel good. 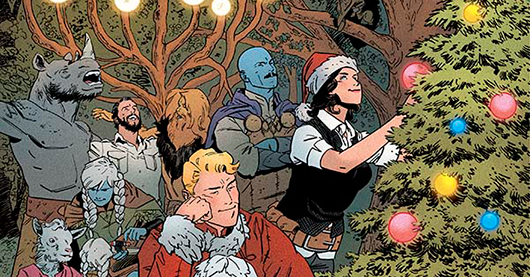 Even though you have to pay for it (hey, everybody’s gotta make a living), Dynamite and all the creators involved have given us a great gift this holiday season — THIS COMIC! Do yourself a favor and go out and grab a copy. I guarantee it’ll make your holidays just a little bit brighter. And, let me take this opportunity to wish each and every one of you a great holiday season. HAPPY HOLIDAYS, EVERYBODY! Blu-ray Deal: ‘Alien Anthology’ and ‘Prometheus’ Bundle For $20!